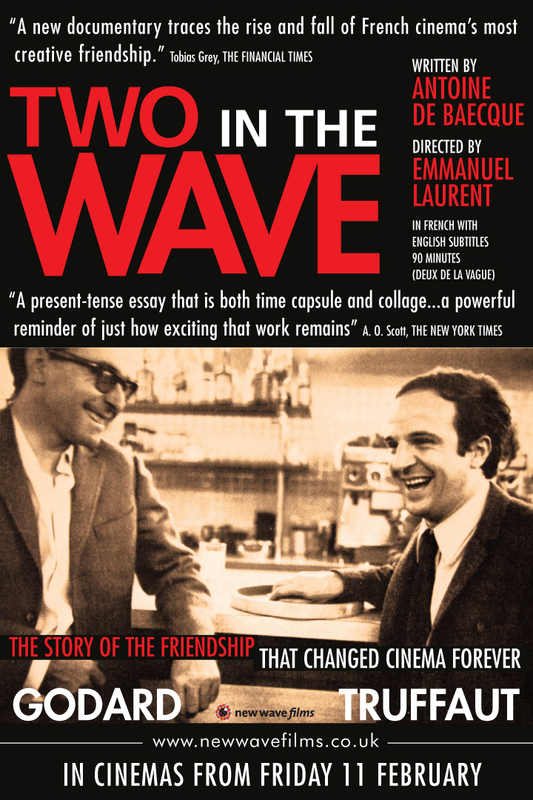 I went to the Film Forum yesterday after a previous screening and watched the new Emmanuel Laurent documentary, “Two In The Wave”, about the friendship and its eventual dissolution, of Jean-Luc Godard and Francoise Truffaut. Most interesting to me was the relationship actor Jean-Pierre Leaud had with the two filmmakers. He was best known for the recurring character, Antoine Doinel, in 5 Truffaut films. Leaud also starred in a number of Godard’s films as well. He was effortlessly acting between the two pillars of the French New Wave and when the two directors fell out years later over philosophical differences, Leaud’s career never quite recovered. 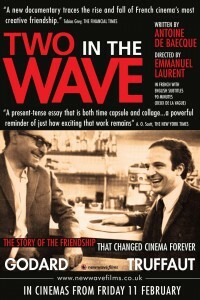 “Two in the Wave” is terrific, an appropriate prelude to the forthcoming revival of “Breathless”. “Breathless”, Godard’s break out film is having its 50th anniversary this year and the Film Forum has a gorgeous new print which they will start showing starting this coming Friday. Can’t wait to see it, having never seen this iconic film on the large screen. When Ben Kalmen slithers into a restaurant, nattily so in his black designer duds and Ray Bans, the first thing he does is scope the scene for young attractive women. To avoid embarrassment, he instructs his loved ones to refer to him as Captain Ben when in public, not Dad and definitely not Grandpa. Ben is a former King of New York. A once wealthy and successful owner of car dealerships, Ben had it all, including an adoring wife (Susan Sarandon) and a doting daughter (“The Office”’s Jenna Fischer). Then Ben learned he had a heart condition and threw it all away. He became involved in some illegal business dealings, lost his business, and did some time. 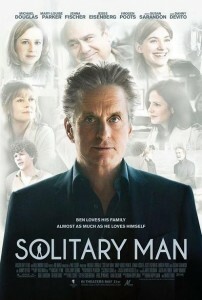 Now, Ben is on the cusp of a comeback after years of being considered a pariah. His new girlfriend, Jordan (Mary-Louise Parker), pulls a few strings with her powerful daddy, head of the car dealership commission, and Ben has a true second chance. Accept for one problem, and that problem is named Ben. In “Play It Again, Sam”, Woody Allen played a nebbishy film critic who congers up an imaginary alter ego when in need of romance advice. In this case, that imaginary friend was Humphrey Bogart, the icon of macho cool. I can’t for the life of me imagine Ken Loach, the director of such films as “Raining Stones”, “Riff Raff”, and “The Wind That Shakes the Barley”, being influenced by this 1972 Allen comedy, but his new film, “Looking for Eric”, suggests that distinct possibility. In it, Eric Bishop (Steve Evets), a single father and postal worker, has a similarly active fantasy life. 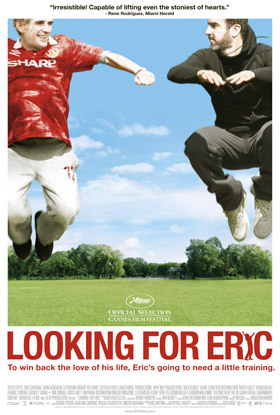 Besides the two layabout stepsons from his second failed marriage living with him in his London flat, Eric also has a grown daughter from his first marriage, a single mother who needs lots of help with babysitting. USA/Spain. 125 minutes. Rated R.
In the opening sequence of Rodrigo Garcia’s deeply moving new film, “Mother and Child”, a flashback introduces 14 year old Karen losing her virginity. The consequences of this tender albeit premature moment sets the stage for what will wind up, in Karen’s own words, defining who she is. Thirty-six years later, now a middle aged adult and skillfully played by Annette Bening, Karen works as a physical therapist by day and as a nurse for her elderly mother by night. The fact that she is a full time caretaker to everyone except for the one person in the world she would like to be—the adopted daughter she gave up—Karen has become something of a cranky loner. It’s as though sealing herself off somehow makes up for the unforgivable act of giving her baby up for adoption all those years ago. 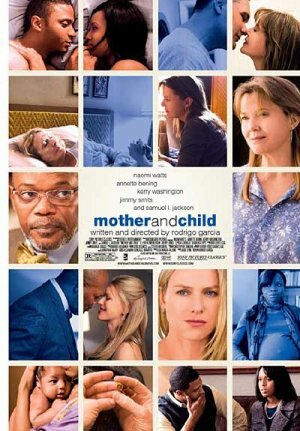 While we watch and sometimes laugh at the complex way Karen relates to others, one of whom is her housekeeper Sofia (Elpidia Carrillo of “Seven Pounds”), whose close relationship with Karen’s mother leaves Karen both confused and envious. She simultaneously resents her mother for her judgmental ways even while she seems cursed to repeat the same behavior with others. Karen is harsh towards Sofia’s young daughter, perhaps because of the lost opportunity in having the same unconditional relationship in her own life. It is with the appearance of a persistent and kind admirer (a fine Jimmy Smits) when Karen’s heart begins to thaw. Paco comes to her with a quiet certainty that even the usually reluctant Karen can not resist.